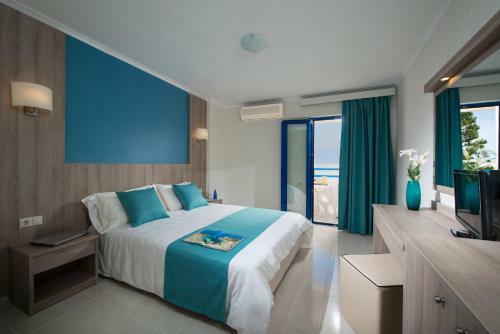 The 3-star Central Hersonissos Hotel is located in Hersonissos, Heraklion Region. Central Hersonissos Hotel offers to its guests bar, restaurant (buffet), restaurant	and outdoor swimming pool. The property accommodates visitors in triple room, double room and other might be available upon request. The rooms offer mountain view and pool view. Room amenities include a/c, satellite channels, fridge and more. In the bathroom there is hairdryer. Central Hersonissos Hotel does not accept pets.